Why does an object or phenomenon become the subject of scientific inquiry? Why do some of these objects remain provocative, while others fade from center stage? And why do objects sometimes return as the focus of research long after they were once abandoned? 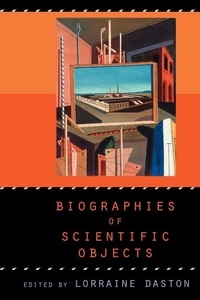 Addressing such questions, Biographies of Scientific Objects is about how whole domains of phenomena-dreams, atoms, monsters, culture, society, mortality, centers of gravity, value, cytoplasmic particles, the self, tuberculosis-come into being and sometimes pass away as objects of scientific study. With examples drawn from both the natural and social sciences, and ranging from the sixteenth to the twentieth centuries, this book explores the ways in which scientific objects are both real and historical. Whether discovered or invented, these objects of inquiry broaden and deepen in meaning-growing more "real"-as they become entangled in webs of cultural significance, material practices, and theoretical derivations. Thus their biographies will matter to anyone concerned with the formation of scientific knowledge. Contributors are Jed Z. Buchwald, Lorraine Daston, Rivka Feldhay, Jan Goldstein, Gerard Jorland, Doris Kauffman, Bruno Latour, Theodore M. Porter, Hans-Jörg Rheinberger, Marshall Sahlins, and Peter Wagner.